Gina Telcocci, "old time," drift ply, mixed media, 12" x 9.5" x 8." Scavenged objects, picked up in New Mexican arroyos and along the San Francisco Bay waterfront, form the basis of new sculptures created by Gina Telcocci that are on display in City of Mud’s two-artist show opening on May 5. “Vox box” is a box made from plywood aged in the New Mexico sun. It was originally part of an installation and has a motion-activated sound element. “Both of these sculptures are simple forms that kind of symbolize human activities to me-architecture and geometry-which I think of as representing some of our higher impulses for order, shelter and ingenuity,” she adds. 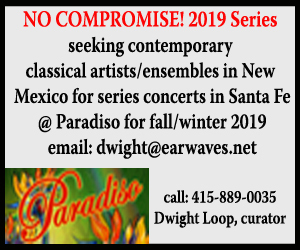 Telcocci shares the show with Joseph Griffo, who was born in Woodstock, New York and has spent the past 24 years in Santa Fe making art and studying art theory. His work ranges from contemporary landscapes and figure work to non-objective abstraction. 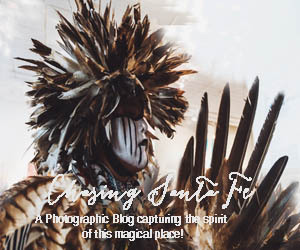 He says that putting down roots in the Southwest has given him time to hone a connection with rustic and organic materials such as gypsum, wax, terra cotta, resin and graphite. Opening: May 5, 3-5 p.m.